Try Zoho Inventory to centralize your online and offline orders from multiple sources. It's time to focus on what helps your business grow. Move beyond "Receive. Resell. Repeat" to find your Revenue. of products on ebay.com and ebay.uk who need an inventory management system that can work well with eBay orders. that sell on eBay and need advanced inventory tools and basic warehouse management tools. who are planing to sell their new and refurbished items on eBay and need a way to centralize their online and offline orders. What can this do for you? Set reorder and out-of-stock alerts to restock items from preferred vendors on time. You can also enable approval mechanisms for purchases made by your employees. Keep track of products coming into your warehouse as you buy from vendors or receive stock from your other warehouses. Associate serial numbers with sales orders as they come in from eBay. 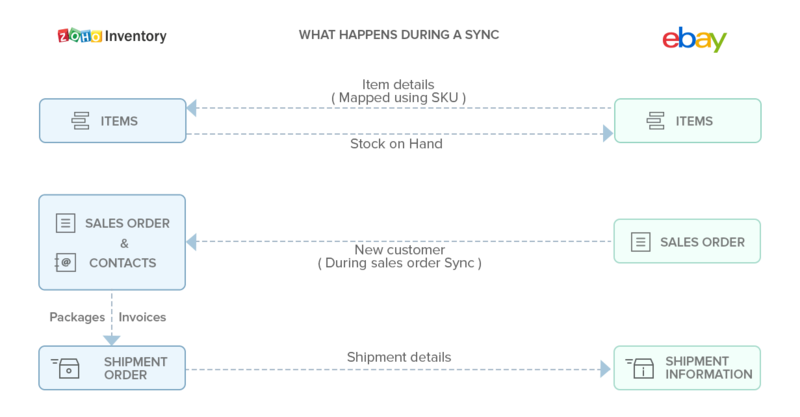 Customize your order sync time according to your business needs. Receive every order with payment and shipping information. 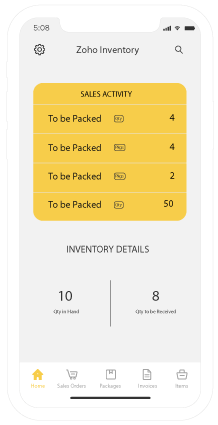 If you self-fulfill your orders, you can integrate your Zoho Inventory and AfterShip to track shipments in real time. Do you operate from more than one location? Enable multiple warehouses in Zoho Inventory and ship goods from the warehouse that's closest to your eBay customer. 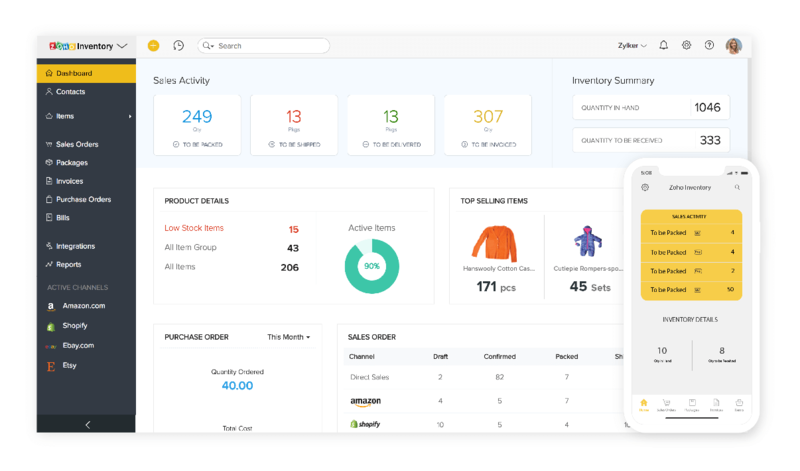 Zoho Inventory automatically syncs all of your eBay orders and updates your stock levels in real time. At times of high demand and low supplies, you can either mark an eBay order for drop shipment, or put the low-stock items on back order. Zoho Inventory can be seamlessly integrated with Zoho Books to manage your accounts, taxes, banking and business reporting. How does the integration work? "The application simplifies and automates the order and inventory management processes, empowering businesses to grow." "Named among the Best inventory management software products of 2017 by PC Mag India." "Zoho Inventory has made it very easy for us to manage our orders and streamline inventory for all our outlets situated across India. We love the user-friendly interface and responsive support team. We highly recommend Zoho Inventory for businesses looking for a simple yet effective solution." "Our stock management system has become much better after using Zoho Inventory. We also switched to Zoho Books for our accounting management for its seamless integration with Zoho Inventory"
"Zoho Inventory is an amazing product and has helped us get immediately organized with our inventory needs. What I love about it is the ease of use." "We managed everything using spreadsheets but it was not practical after 3 months. Zoho Inventory helped us streamline and organize our business. Mobile app is very helpful as you can keep track of your customer requests even when you're travelling."